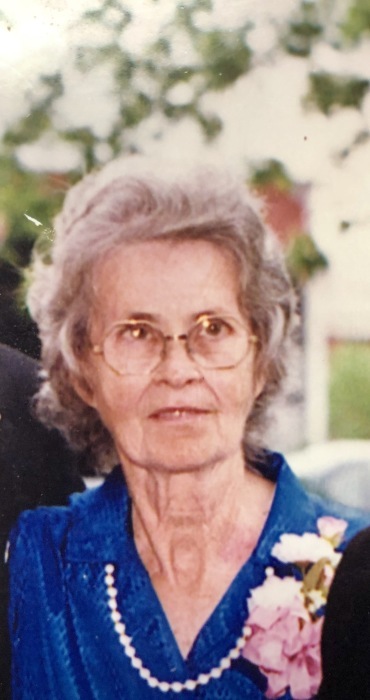 Rowena "Maw" Redd, 89, Wallace Park Rd., Cerulean, died April 14, 2019 at Jennie Stuart Medical Center of natural causes. Services will be at 10:00 a.m. Thursday, April 18, 2019 at Lamb Funeral Home with Rev. Larry Foxx officiating. Burial will be in Green Hill Memorial Gardens. Visitation will be from 5:00-7:00 p.m. Wednesday at the funeral home. A native of White Plains, Kentucky, she was born March 18, 1930, the daughter of the late Lawrence and Connie Cotton Young. She was a homemaker and a member of Second Baptist Church. In addition to her parents, she was preceded in death by her husband, Sammie Redd; her daughter, Mary West; and her son, William Redd. Survivors include her brothers, Bradley Young, Crofton, Woody Young, Hopkinsville; her sister, Hilda Gilliland, Hopkinsville; two grandchildren and two great grandchildren.